Posted on: Thursday, April 4th 2019 and is filed under Intraday Tips, Daytrading, Intraday tips for free NSE BSE Breakouts Daily intraday tips calls. Posted on: Wednesday, April 3rd 2019 and is filed under Intraday Tips, Daytrading, Intraday tips for free NSE BSE Breakouts Daily intraday tips calls. Posted on: Tuesday, April 2nd 2019 and is filed under Intraday Tips, Daytrading, Intraday tips for free NSE BSE Breakouts Daily intraday tips calls. Posted on: Monday, April 1st 2019 and is filed under Announcements. Posted on: Monday, April 1st 2019 and is filed under Intraday Tips, Daytrading, Intraday tips for free NSE BSE Breakouts Daily intraday tips calls. Markets likely to open higher. Support for Nifty is at 11570 and resistance at 11700. Bank Nifty has support at 30000 Buy SREI infra at 29.75, target: 32.50. Stoploss: 28.50 – (Hold for BTST. Same target and SL) Read More..
Posted on: Friday, March 29th 2019 and is filed under Intraday Tips, Daytrading, Intraday tips for free NSE BSE Breakouts Daily intraday tips calls. Posted on: Thursday, March 28th 2019 and is filed under Intraday Tips, Daytrading, Intraday tips for free NSE BSE Breakouts Daily intraday tips calls. Markets likely to open flat. Support for Nifty is at 11380 and resistance at 11580. Bank Nifty has support at 29680 No pre-market call for today. Continue to hold Sun pharma advanced. I’ll be online later in the day Read More..
Posted on: Wednesday, March 27th 2019 and is filed under Intraday Tips, Daytrading, Intraday tips for free NSE BSE Breakouts Daily intraday tips calls. Markets likely to open flat. Support for Nifty is at 11400 and resistance at 11600. 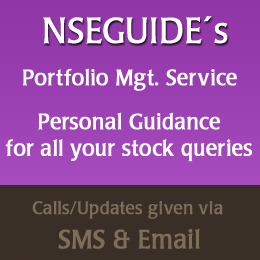 Bank Nifty has support at 29600 and resistance at 30000 No pre-market call for today 10.54am – Buy Sun pharma advanced at 194.95, target: 201. Stoploss: 191 Read More..
Posted on: Tuesday, March 26th 2019 and is filed under Intraday Tips, Daytrading, Intraday tips for free NSE BSE Breakouts Daily intraday tips calls. Markets likely to open flat. Support for Nifty is at 11300 and resistance at 11420. Bank Nifty has support at 29100 and resistance at 29400 Buy Berger Paints above 315, target: 323. Stoploss: 311 – (Book profit at 322.50) Read More..
Posted on: Monday, March 25th 2019 and is filed under Intraday Tips, Daytrading, Intraday tips for free NSE BSE Breakouts Daily intraday tips calls.